Apple showcased many new and intriguing features with the grand unveiling of iOS 6, the sixth edition of the company’s famed mobile operating system, and one of the ones we’re looking forward to the most is the Passbook feature. Apple et al have done a stellar job in reducing general pocket fodder over the years, and Passbook will only aid the progression further by allowing vouchers, boarding passes, loyalty cards, coupons and the like to be stored away digitally, and utilized with minimal fuss. With the release of iOS 6 reported to be just around the corner, some airlines have already begun preparing themselves for the time-saving new application. 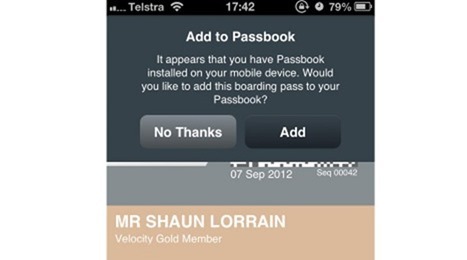 According to Australian Business Traveler, one of its readers recently managed to load a boarding pass into Passbook when checking onto a Virgin Australia flight using an iPhone running iOS 6 beta. The report also gives a little more insight with regards to how Passbook works – saving the boarding pass into one’s Passbook account, and offering live updates to said e-passes, including any delays and gate number changes. The message popping up on the user’s device wasn’t actually from iOS, rather the airline’s website detecting the firmware as iOS 6, and it won’t be long, it seems, until most other airlines follow suit. The Passbook feature of iOS 6 seemed increase the notion that the next iPhone would see an implementation of NFC, or Near Field Communication technology, but that now almost certainly will not be the case. With the Cupertino company implementing 4G LTE to its sixth-generation device, it appeared as though would make a debut on an Apple gizmo, but it now seems Tim Cook’s men wish for the technology to mature a little more before rolling it out en masse. 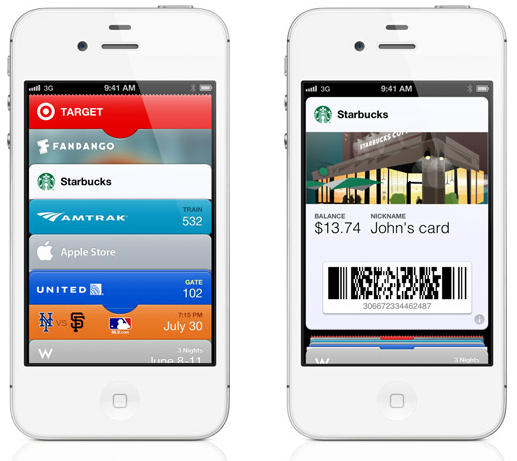 Still, Passbook will certainly have a lot to offer, and we’ll obviously garner a stronger insight into Apple’s plans next Wednesday, 12th September when the iPhone 5 is set to be announced at the Yerba Buena Center for the Arts. Although many of iOS 6’s feature list has already been revealed, there’ll still be quite a few surprises pulled out of the bag on the day in what promises to be another enthralling week for us tech fans. As I’ve said many a time already, we’ll have all the coverage of the releases here at Redmond Pie, so be sure to stay tuned to our coverage!